3 different bases, 41 eyeshadow shades. Yes, there are at least 41 colors in this world that girls can use to put on their eyelids. 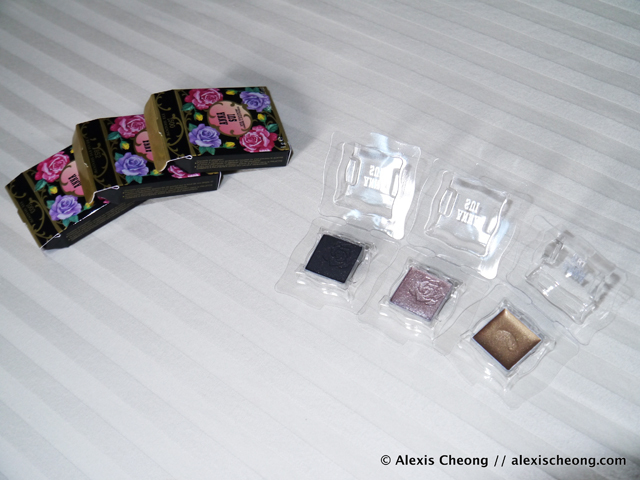 Redefining, redrawing, recoloring - this is the biggest launch of Anna Sui's cosmetics line with the explosion of colors and 5 new eye liners. The eyeshadows are sold in 1g refill packs ($19) which you can select to fit into the classic black lacquer case ($16) which makes it $73 for a palette of threes. 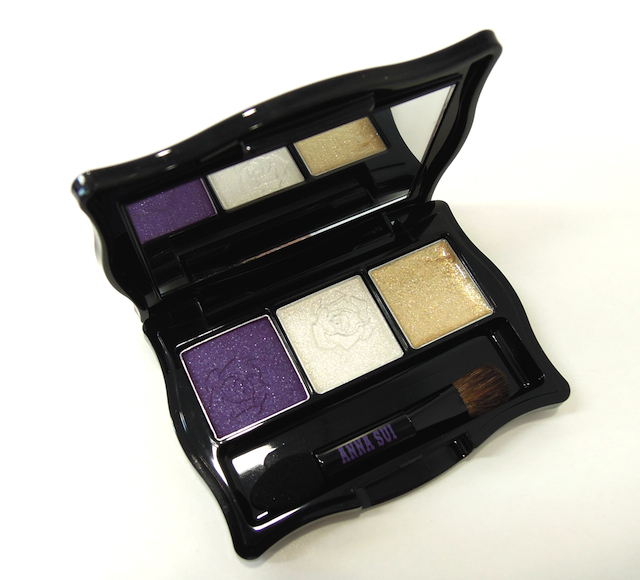 In this Chrystal Copland (the model for Anna Sui you see above) palette, the colors are #204, #001 and #851. 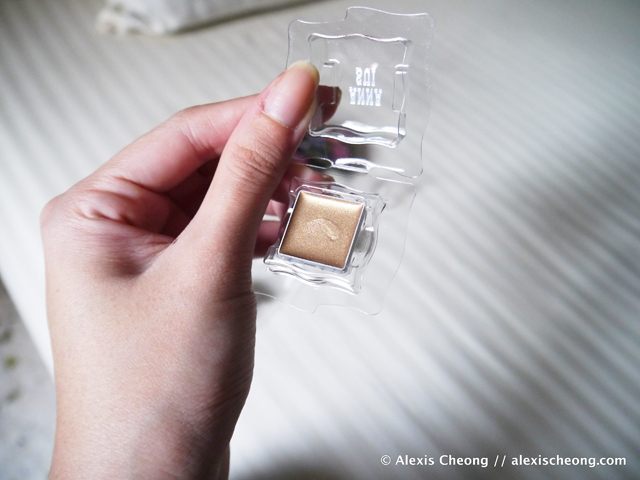 The last #851 is a cream gold eyeshadow that is very pretty and intense. Purple is Anna Sui's favorite color, in case you did not know. I was kindly given 3 eyeshadows to play with. I chose these 3 colors! As you can see they are made in Japan. 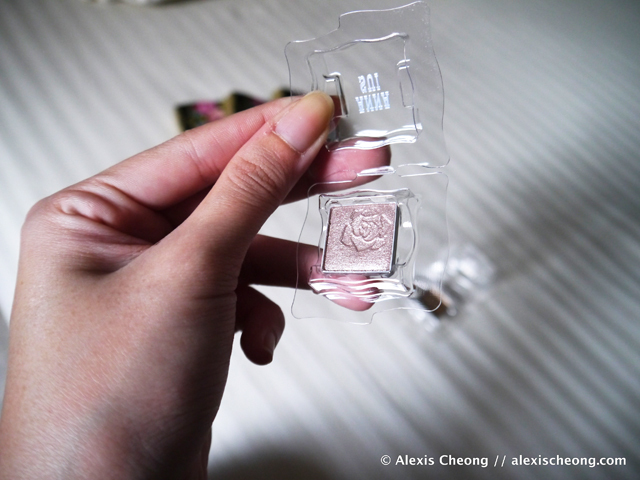 Also they have the signature rose scent which is super alluring. I love it! 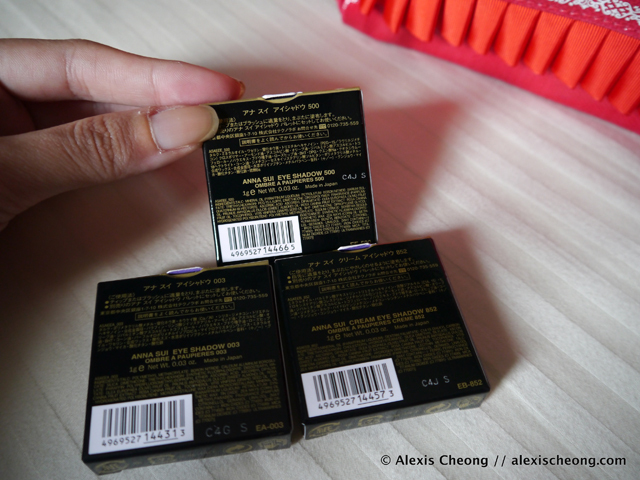 I chose a powder based black with gold glitter, a lilac pearl shade and a bronze cream color. Here they are in sunlight for better view! 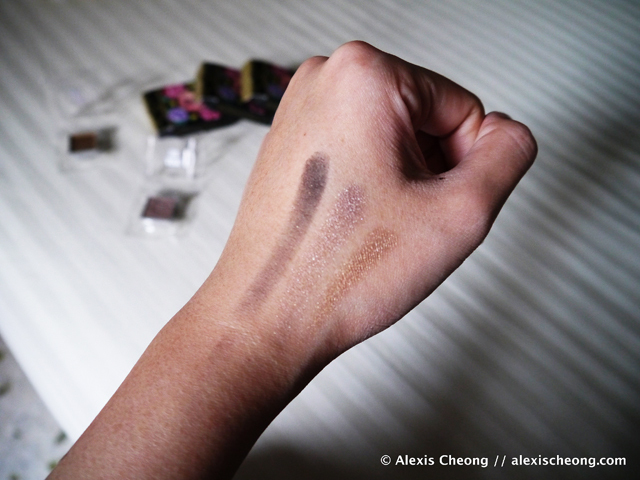 And here are the swatches on my hand. It is without primer, mind you. I believe if there's a primer it will be even more intense. Even so, application is smooth and the colors are intense! 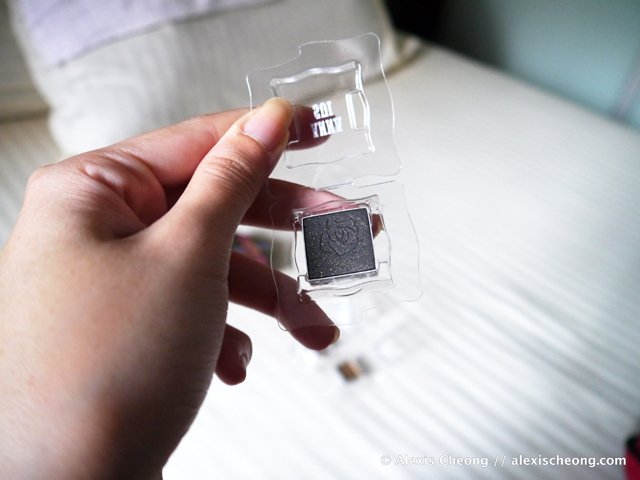 Well, they are available at Isetan Scotts Anna Sui counters and all other Anna Sui counters, I believe. Do check them out if you are passing by!